Pumpkins. They're found in just about everything this time of year: pancakes, chewing gum, even Pringles (pass). Now, you can find them in your skin care routine! Introducing the Yam & Pumpkin Enzyme Peel from Eminence Organic Skin Care, now available at Citrine Salon as an independent service or an add-on to a facial. Rejuvenate tired and damaged summertime skin with this fall-inspired peel that smells just like pumpkin pie! 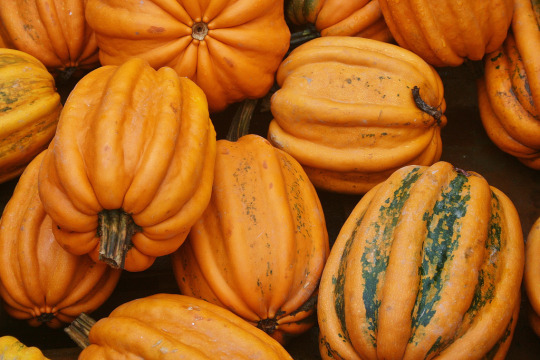 The Yam & Pumpkin Enzyme Peel exfoliates skin with minimal irritation. Aside from pure yam and pumpkin pulp, pineapple and papaya extracts are infused into this specialty peel. Bromelin and Papain plant enzymes dissolve away impurities and reverse signs of sun damage, Glycolic and Lactic acids encourage healthy cell turnover and work to lighten pigmentation. Pores are deeply cleaned and refined with Willow bark extract and botanical Hyaluronic acid. Your skin will be left feeling revitalized and smoothed. Collagen production is increased, firming and plumping skin. Wrinkles are diminished and fine lines begin to fade. Not only will you notice an immediate difference, but results will continue to show in the days following the treatment. The Yam and Pumpkin Enzyme Peel is ideal for every skin type, except those with areas of active acne. We can't think of a better way of addressing summertime sun damage while celebrating the arrival of fall! Call or stop in to book an appointment with Imane, and experience this seasonal specialty... And maybe skip the pumpkin-flavored Pringles. But that's just our suggestion.